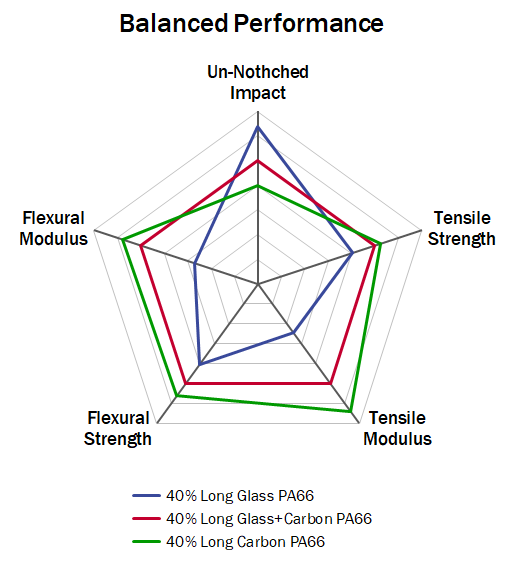 Are you reaching performance limitations using long glass fiber reinforcement but cannot justify taking the cost jump to move to long carbon fiber? We have an innovative long fibermaterial solution just for you – Complēt®Hybrid long carbon+glass fiber reinforced thermoplastic composites. Ready-to-mold hybrid long glass+carbon fiber materials provide you with multiple performance and costs steps in between using only glass or only carbon as your reinforcement of choice. Blending fibers delivers balanced performance, expanding your material options and allowing you to design without limitations. Need more stiffness or strength but don’t want to compromise toughness? Hybrid long carbon+glass fiber reinforced composites are the material solution for you. Our material experts can tailor hybrid long glass+carbon fiber combinations to meet your performance and cost objectives, get up to 90% of carbon’s benefits, while reducing its cost by up to 50%. 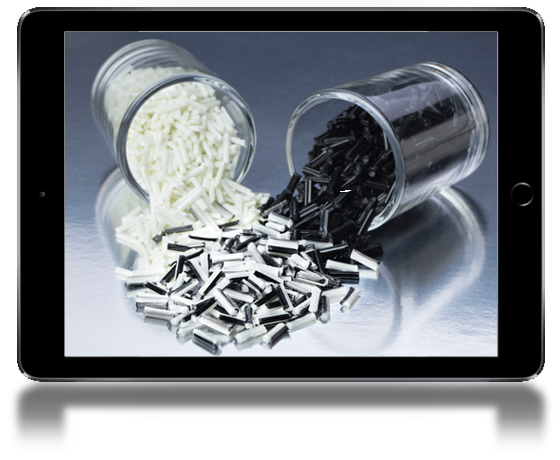 Add carbon fiber to a successful product to give it a high performance marketing edge or widen glass fiber’s performance envelope to switch more metal components to long fiber composites and gain improved functionality or ease of manufacture advantages. 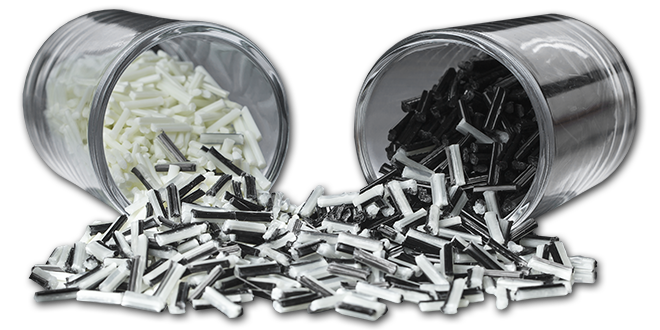 These materials are examples for comparison purposes, PlastiComp can tailor long glass+carbon fiber combinations to meet your performance and cost objectives.